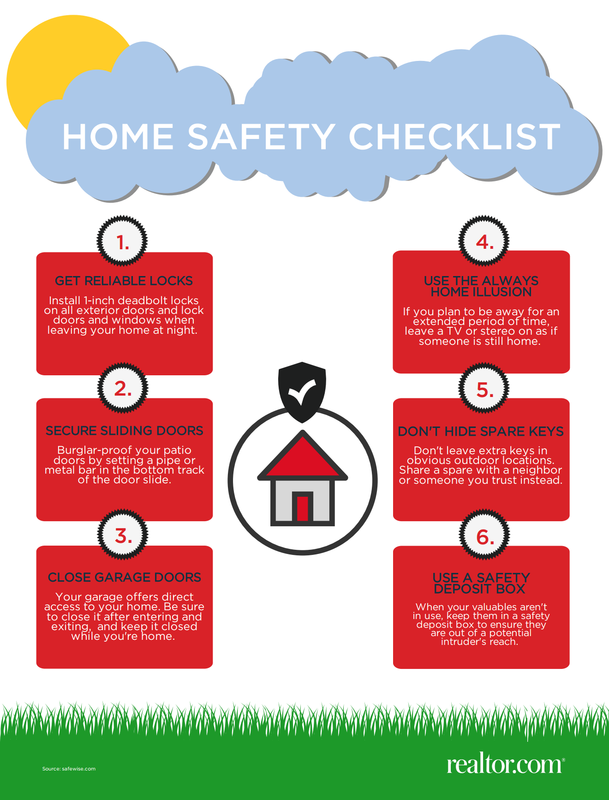 It's National Safety Month, here are 6 tips to keep you safe in your home. We might add to make sure you have fire extinguishers in the kitchen near where you cook, on the deck near where you grill and in the garage. Annually have your furnace and hot water heater inspected if they are gas as well as any lines going to grills and fireplaces. If you use your fireplace, make sure you have a clean chimney and box and have it checked for cracks on the inside that could leak bad gases into your home and on the outside for falling bricks.